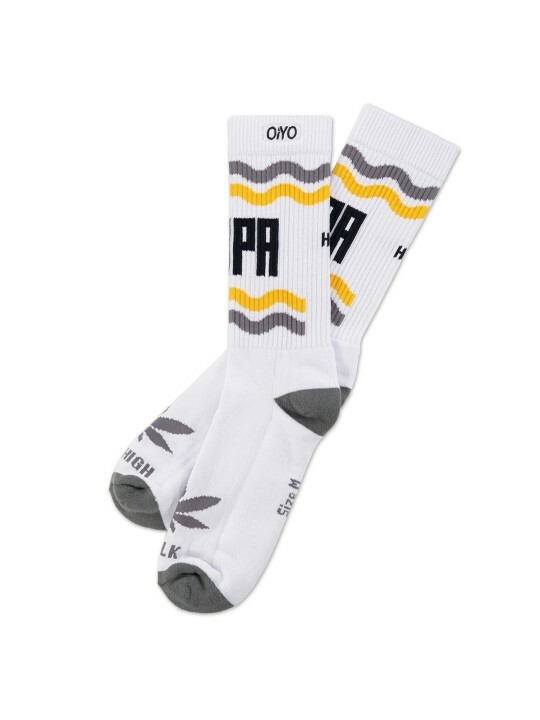 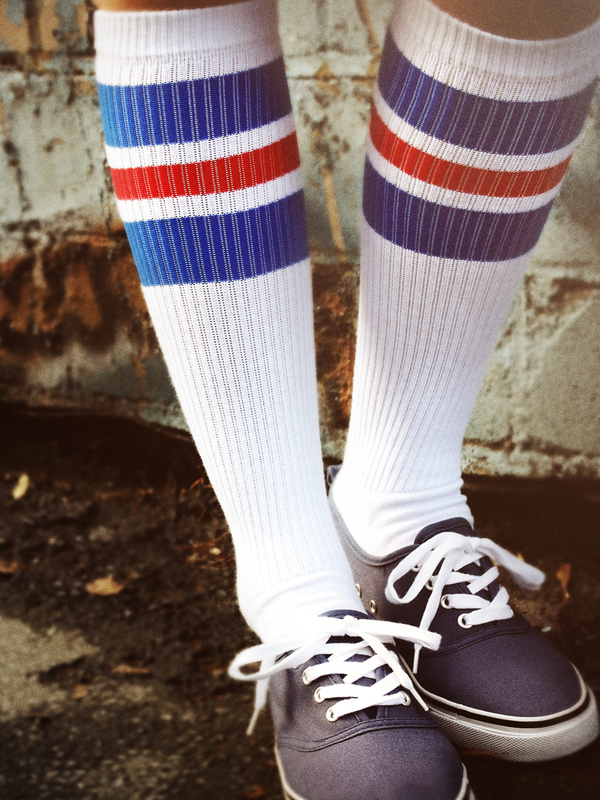 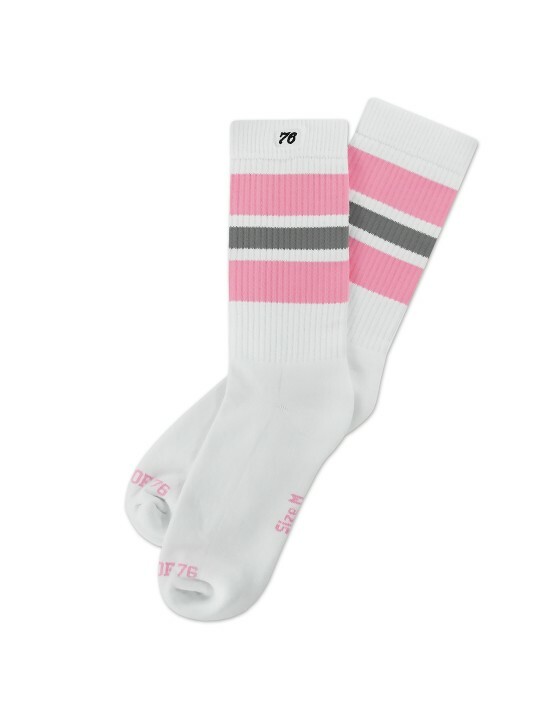 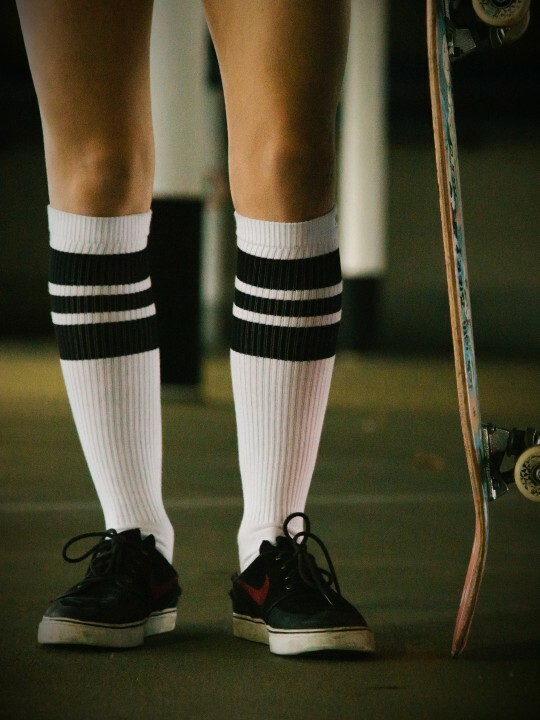 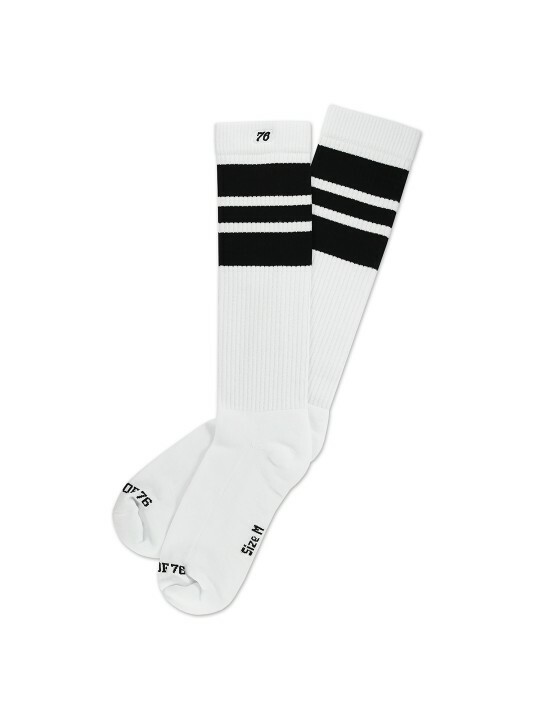 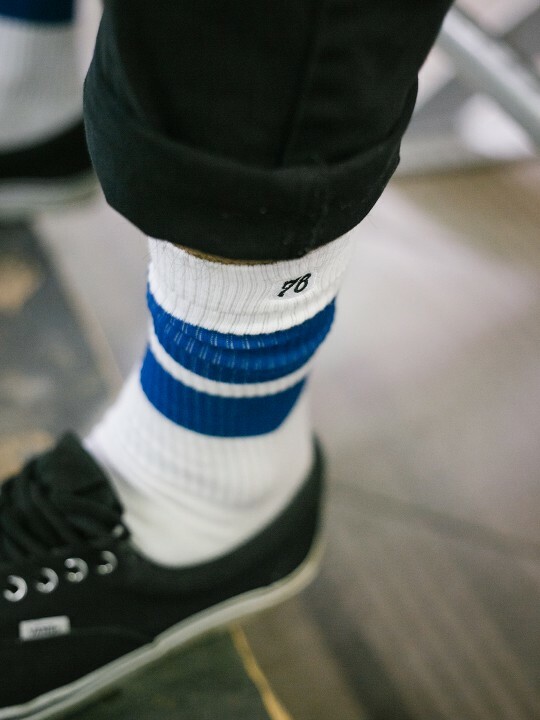 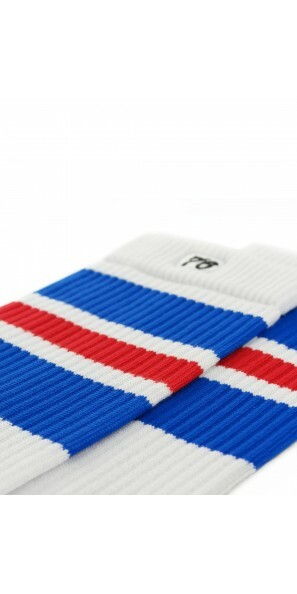 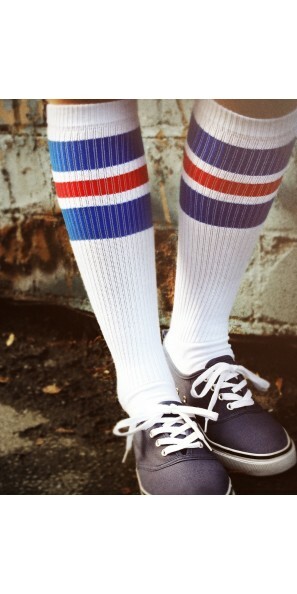 Knee high skater socks with rib structure in the american classic royal-red oldschool striped design. 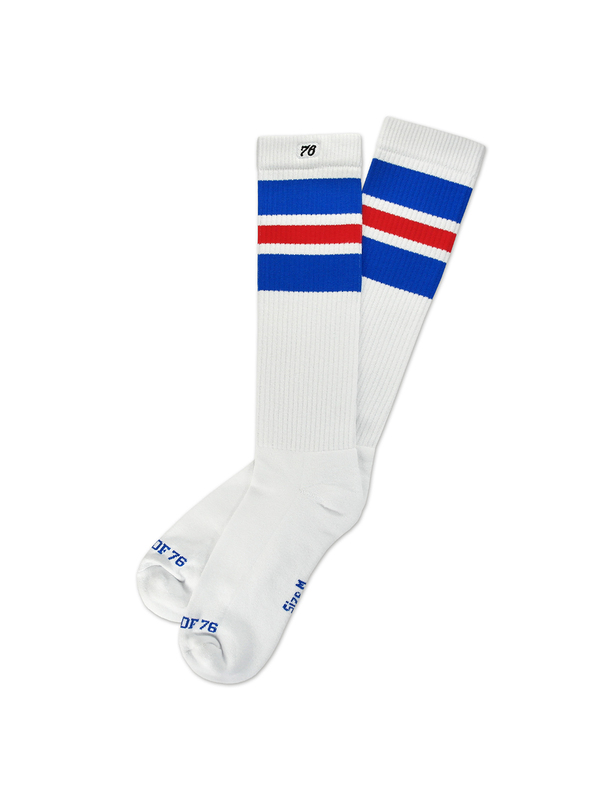 Extra strong and resistant half chenille sole, preformed heel and finely tuned mix of materials guarantee a perfect fit and high wearing comfort. 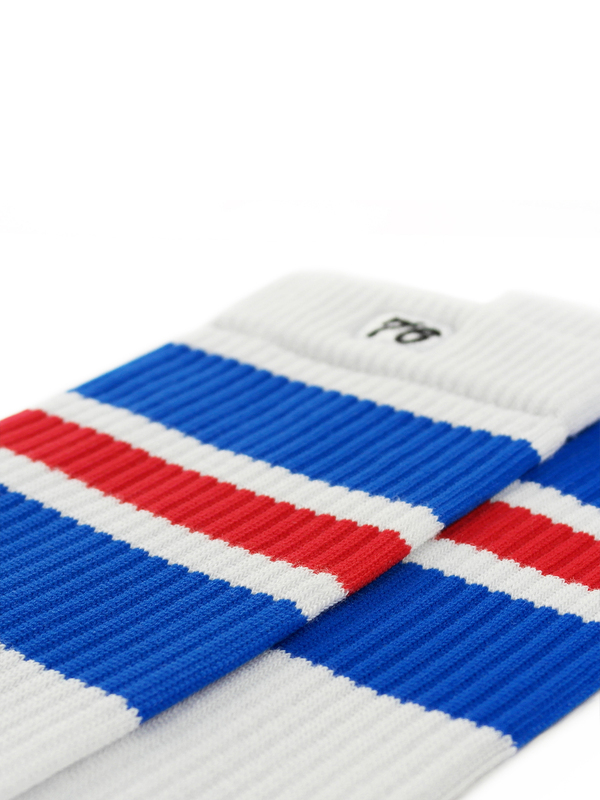 Best quality “Made in Germany” – from design to production and stylish recycling-packaging. 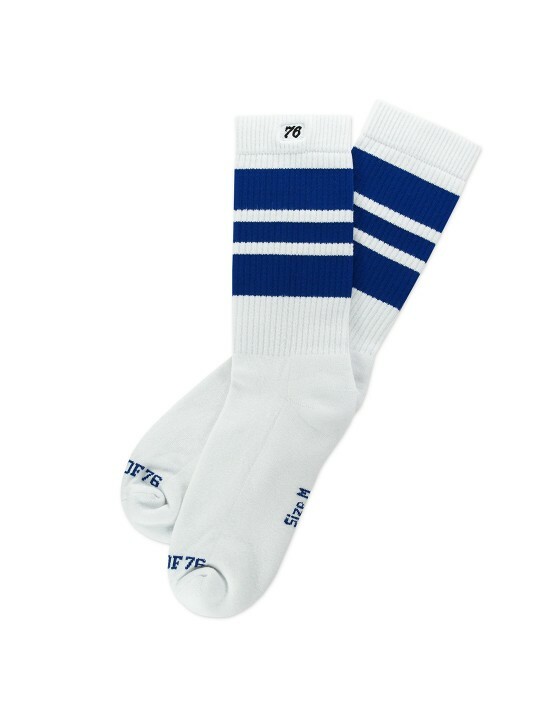 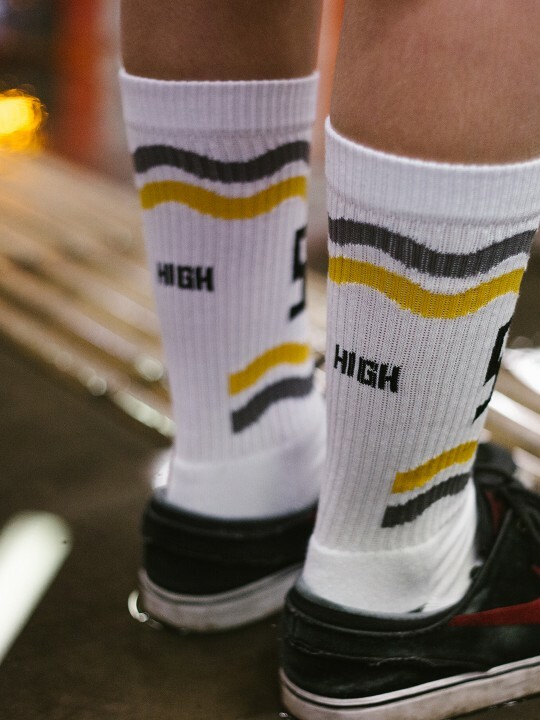 The original Oldschoolsocks , only with the “Spirit of 76”-label.